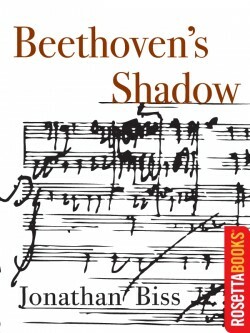 (New York, NY – Dec 16, 2011) Pianist Jonathan Biss can add published author to his list of achievements with the release on Friday, December 16, of Beethoven’s Shadow, a 19,000-word work about Beethoven from leading independent e-book publisher RosettaBooks for Amazon’s Kindle Singles program. Kindle Singles are essays, reports, narratives, memoirs and short stories, typically between 5,000 and 30,000 words, intended “to allow a single compelling idea to be expressed at its natural length”. Mr. Biss is the first classical musician to have written a Kindle Single and Beethoven’s Shadow and Mr. Biss will be featured online in the Kindle Single Store (www.amazon.com/kindlesingles) alongside other Kindle Single authors such as Stephen King, Amy Tan and Lee Child. Beethoven’s Shadow is the most extensive piece that Mr. Biss has written and explores the challenges and emotions involved in deciding to take on the task of recording the complete Beethoven Piano Sonatas and capturing the “love, humor, imagination and open-heartedness” of the music. Beethoven’s Shadow also examines the recording process and questions the viability of seeking artistic perfection, while giving personal insights into Mr. Biss’s relationship with Beethoven’s music from his first impressions as a child to now. It also pays homage to, and examines, other pianists that have recorded Beethoven’s music before him, such as Artur Schnabel and Rudolf Serkin, and includes an audio guide directing readers to the artists and works he writes about, in addition to his own recordings. Mr. Biss, who strives to make his work away from the piano part of his life as a musician as a whole, says he was honored while at the same time daunted by the idea of taking on a keyboard challenge of a different nature and writing such an extensive piece, particularly on such a formidable topic. Beethoven’s Shadow is being released on December 16 especially to mark Beethoven’s 241st birthday and is available for download from the Kindle Singles Store for $1.99. Beethoven’s Shadow precedes and complements the first CD of Beethoven Piano Sonatas to be released by Onyx Classics on January 9, 2012. The first recording features Piano Sonatas Nos. 5, 11, 12 and 26. Mr. Biss talks about these works and this recording project, which will be spread out over the next nine years, on his newly re-launched web site, www.jonathanbiss.com. RosettaBooks is a leading independent electronic publisher dedicated to the expansion of quality e-reading in the consumer and library/education markets. Founded in 2000, RosettaBooks specializes in bringing to the e-book space original content from today’s top authors, including three #1 Kindle Singles: Murdered and Accused by Paul Alexander, and Frank Delaney’s Undead. RosettaBooks recently introduced The Galaxy Project collection, an e-book set of 23 top novellas written by authors such as Robert Heinlein, Kurt Vonnegut, Ray Bradbury, and C.M. Kornbluth and Destination™, an e-book travel guide series with Northstar Travel Media. Offering e-book editions in the range of popular formats through today’s leading e-tailers, RosettaBooks publishes the contemporary, such as Stephen R. Covey’s The 7 Habits of Highly Effective People, and sought-after classics including Brave New World, Slaughterhouse-Five, A Passage to India, Shoeless Joe, Winston Churchill’s The Gathering Storm, and many others. For more information, please visit www.rosettabooks.com.